2017 is being a year of transformations in Rede Asta. We have a new headquarters, a new business model, several new projects - and we're just telling you what we already accomplished! With 12 years of experience, we have learned that constant reinvention is key to continuing our impact work. In addition to a social business we need to be a sustainable business. The movement began in mid-2016, when we decided to shift the focus to wholesale. We realized that retailing was not the most economically viable solution, which prevented us from expanding operations to increase the positive change that is our mission. 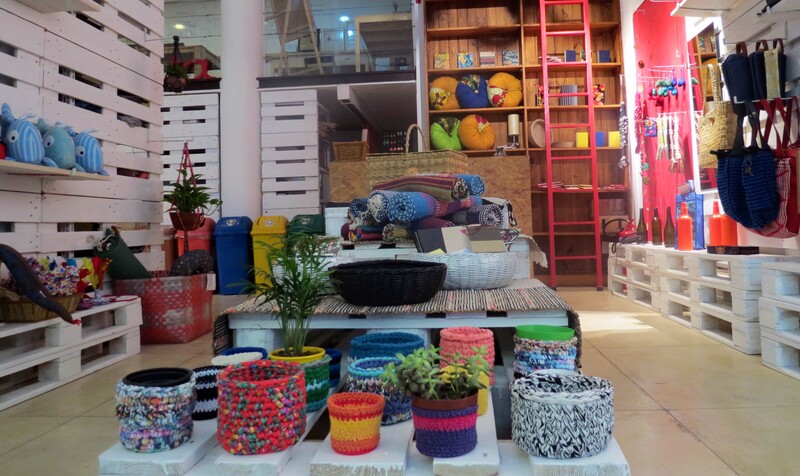 The new strategy is to continue the work for women's empowerment and the structuring of small craft businesses by investing in the sale of upcycling solutions for companies. The goal is that materials that would be discarded become a raw material for the production of exclusive and quality handcrafted products. In this way we gain in sustainability - as the residues gain new usefulness they return to the stakeholders of the own companies - and we generate income for the groups of craftsmen of our network and we stimulate the production of Brazilian crafts in scale with the union of several groups spread by the country. Another great news is our headquarters. Our store, office and product lab are now all in one place: Asta Space. There you can stay even closer to us, and continue to have access to good, beautiful and good products. We will have workshops, collaborative production and more. Come meet and chat with us!